The process of buying a home in Fishers, IN can seem overwhelming and complicated. When it comes time to go to the closing table the closing can often feel rushed. Due to some changes in the mortgage process made on October 3, 2015, the stress of shopping for a Fishers, IN mortgage will be reduced, as a new mortgage disclosure rule took effect. The new rule and disclosures ease the process of taking out a mortgage, helping you save money and ensuring you are fully informed prior to getting to the closing table. You’ll have more time to review your closing documents. Instead of only 24 hours review time for the HUD-1 Settlement Statement, you will now receive the Closing Disclosure three business days before the closing. The Loan Estimate makes it easier to shop around and compare loan offers from multiple lenders. Consider applying for your Fishers, IN loan from at least three lenders before choosing a mortgage so you can find the best deal for you. 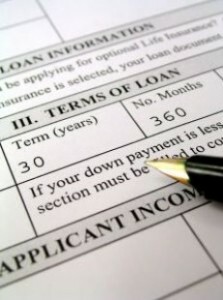 The three days required between getting your Closing Disclosure and signing on the dotted line allow you to make sure there aren’t major changes from the deal you were offered on your Loan Estimate. It also gives you time to ask your lender all the questions you might have about the terms of your mortgage and consult with an attorney. Here is a summary of the full changes in the mortgage process, from ConsumerFinance.gov. We hope that these recent changes will give you some relief while shopping for your loan. When you are ready to buy your Fishers, IN home, contact a Fishers, IN real estate agent. We’re committed to providing you with the highest quality service. You deserve to have all the latest market information and the very best advice, both of which we can provide you with. We hope to speak with you soon!